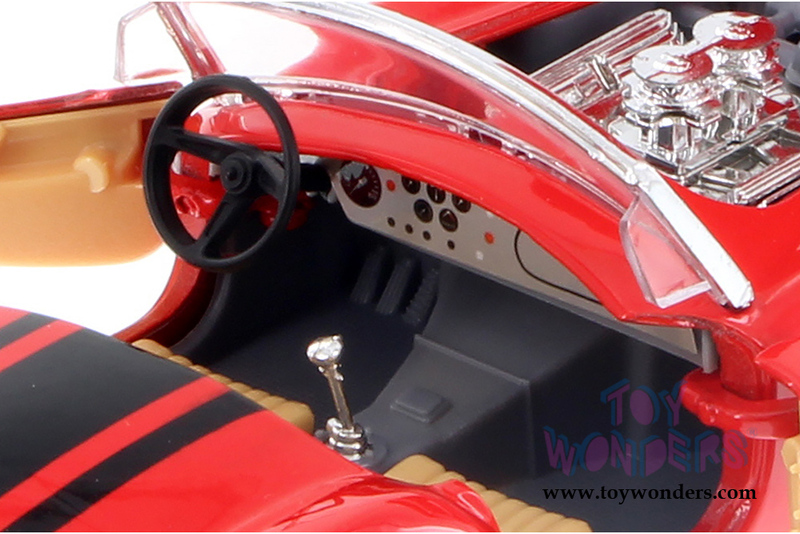 34276 Showcasts Collectibles - 1965 Shelby Cobra 427 Convertible. 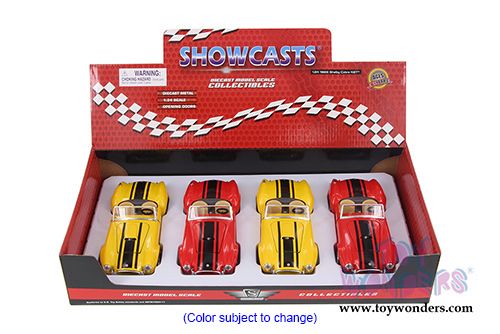 1:24 scale diecast collectible model car. 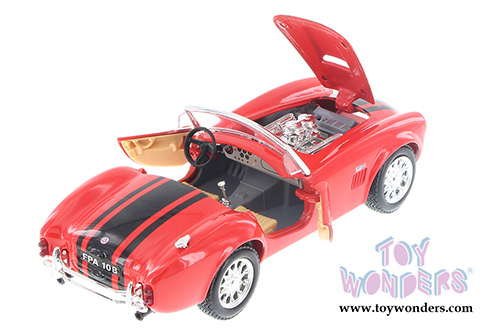 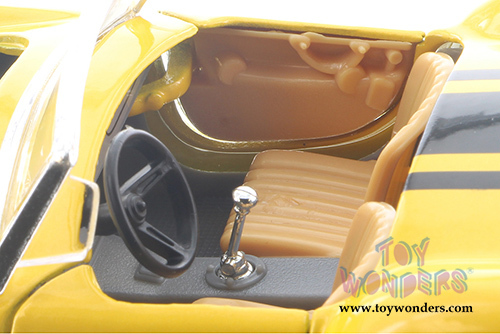 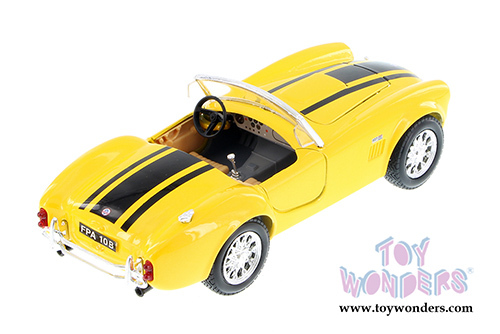 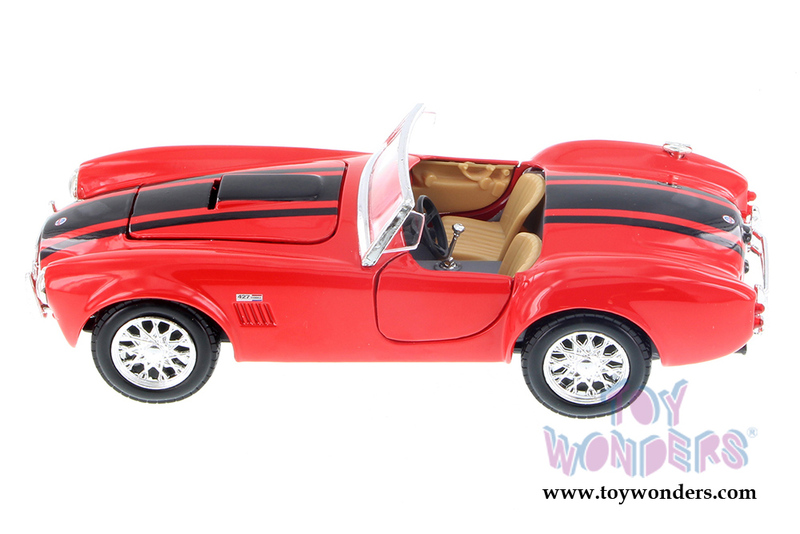 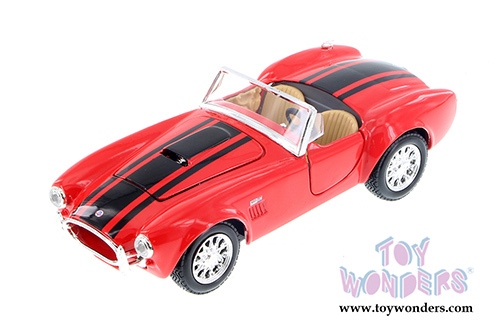 This Shelby Cobra 427 is a 7"Lx 2.75"Wx 2"H diecast metal car with openable doors and hood with Freewheeling. 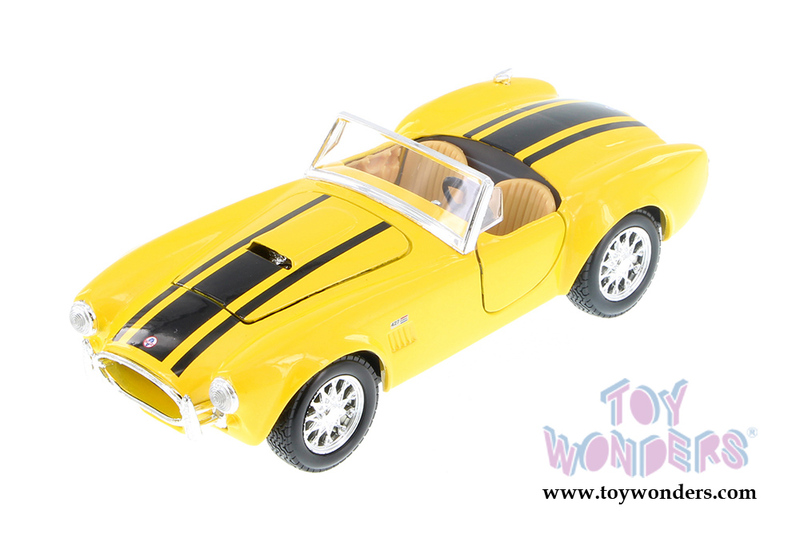 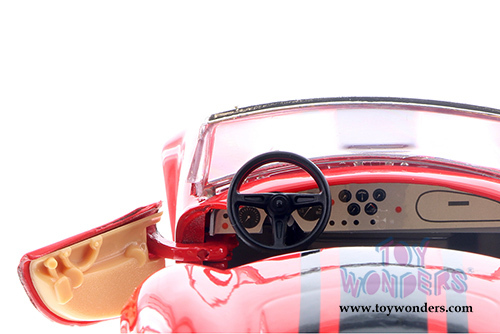 The 1965 Shelby Cobra 427 is manufactured by Maisto for Showcasts Collectibles. 4 pcs per display box in assorted colors with stripes. To see more Maisto collector die-cast models (click here).